A common health complaint in dogs is hip dysplasia, a joint condition which results in pain and a decreased range of mobility. Although it is believed that hip dysplasia is incurable, there is research that shows with proper nutrition, exercise and supplements, affected dogs can make extraordinary improvement. Hip dysplasia occurs when the hip joints do not develop normally, and as a result, gradually deteriorate. Most often the socket is not deep enough for the head of the femur to fully fit. The wear on the joint as a result of the chafing bone results in pain and limited mobility. Often, a dog’s body will try to stabilize the joint by constructing hard material in and around it. Unfortunately, this can create an even larger problem as time goes by. This condition is very debilitating and unfortunately, can interfere with a dog’s enjoyment of everyday activity. Large breed dogs are more commonly prone to hip dysplasia, such as Newfoundlands, Saint Bernards, and German Shepherds. As these dogs have larger body masses there is additional weight and pressure on their joints. Whether or not a dog develops hip dysplasia is both dependent on the genetic component and the environment, nutrition and care given to the animal as it matures. There is a genetic factor to the condition. There is involvement of more than one gene. It is caused by several circumstances, not all of which are known. Despite this, not all dogs with the genes for hip dysplasia will develop the disease. In addition to the genetic theory, there is also belief that hip dysplasia is a result of decades of over vaccinating our dogs. After 50 years of selective breeding and screening dogs for the gene associated with the disease, the incidence of hip dysplasia has not gone down in most breeds. With all dogs, especially large and giant breeds, it is important to monitor the amount of calories they consume during the first 10 - 12 months of their lives. High calorie/carbohydrate diets can result in a puppy growing too quickly. As a result, the cartilage cannot keep up. In a dog with the hip dysplasia gene, this can result in development of the disease. A study in 1997 conducted on Labrador Retriever puppies showed that those ‘free fed,’ meaning that the dogs were able to graze on their food throughout the day, had a vastly higher rate of hip dysplasia than their siblings who were given their food in controlled portions, and as a result, ate less. The puppies that were free fed were also heavier than their littermates by an average of approximately 22 pounds. Obesity can accelerate the onset of hip dysplasia, as the additional body mass strains the joints more. It is important to make sure that your growing puppy is fed a portion controlled, biologically appropriate diet. If choosing a kibble, make sure that your choice is balanced, not laden with carbohydrates, and supports developmental growth. Some companies, such as Orijen, offer a Large Breed Puppy option. 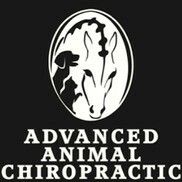 Also, studies have shown that dogs with hip dysplasia experience less symptoms when switched to a raw diet. Moderate, gentle exercise is best, as you don’t want to cause any additional strain on your dog. Long walks aren’t out of the question, however, activities where your pup needs to jump or swiftly switch directions can be taxing. Maintaining strong muscles is best for a dog with hip dysplasia, so running and swimming can be very beneficial. Comfortable resting places are also a plus. A supportive bed that cushions a pup’s joints is ideal. Glucosamine rehabilitates damaged cartilage, supports the function of the joints, and helps reduce inflammation. Omega-3 Essential Fatty Acids, such as those found in fish oils, as they are a component of all cell membranes and support overall joint health. MSM is a natural form of sulfur and help strengthens connective tissues in the body. In addition, it is a great overall joint supplement. Herbs like Alfalfa and Yucca, a blend offered in combination from Animals’ Apawthecary, help with chronic joint inflammation. Cell Salt #2, Calc Phos remineralizes bones and improves tissue integrity. Colloidal Silver (Silver Shield) may help the regeneration of tissue and even bone. Chiropractic therapy is a great option to help maintain a strong core. It can also aid in avoiding or recovering from injury that may result from the limitations of hip dysplasia. Nature’s Fresh Enzyme Spray is an anti-inflammatory that aids with cartilage issues and joint pain, among many other ailments. Whether your pup has hip dysplasia and you are interested in natural support or you are interested in providing holistic, preventative care, stop in at The Pet Beastro today. One of our Nutrition Specialists can help you pick out a supplement, discuss our different Health Program appointments with you, or schedule a chiropractic appointment with our visiting Pet Chiropractor, Dr. Christina Cole.